The Mitre ® Ultimatch Max Match Football White 12 Pack Assorted is Mitre's top-level match ball - stamped with FIFA Quality accreditation mark. It has an improved 1.1mm PU outer has a unique textured finish to improve control and touch. 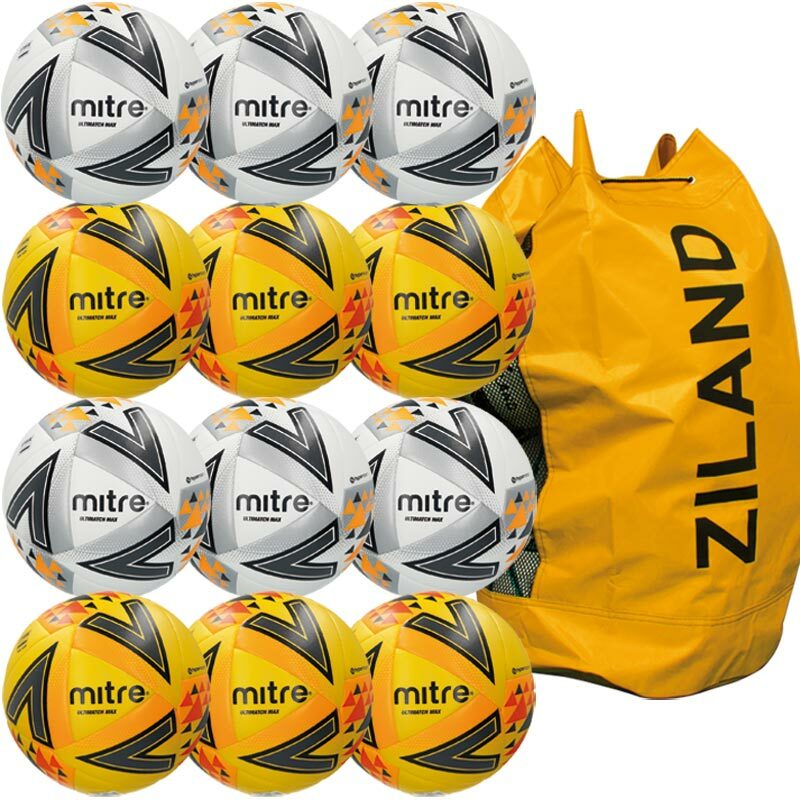 12 x Assorted Footballs size 4 and 5.